Venser in the Blind Eternities and new developments in Skyshroud. The Blind Eternities. This isn't exactly the destination Venser had in mind when he activated his ambulator. Either something went wrong due to being forced to use it despite the incomplete calculations, or his presence is affecting how the thing works like the others have been saying. It is quite a remarkable place though. In the distance Venser can a multitude of worlds. There's one made of fire, a moon-sized city, and a world made of two halves that mirror each other. The world made entirely of metal is of particular interest to the artificer. If he had unlimited resources maybe he would have built something like that. While he gazed upon that world, a man made of silver appears. "Oh," the silver man said. His voice was slow and deliberate, and he spoke with the gravity of a serious, learned man. "Now it starts to make sense." 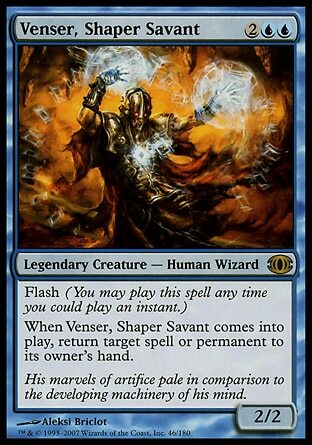 The metal man was looking at him like the other planeswalkers had before, and Venser gives him a nervous hello. 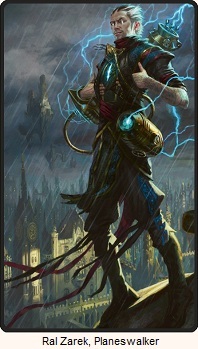 The planeswalker says he would love to talk to him at length, but he has to be elsewhere. He'll find him again soon. He turns to leave and then has second thoughts. There's something he has to do first, both to make it easier to find him again, and because no one should be tagged like someone's pet. He extends his hand, touches Venser's cheek, and pulls. Venser feels something sticky come off from his face, and when it's over Lord Windgrace's gladehunter tattoo is gone. The silver man tells him they'll meet again and soon, and leaves to go about his business. Well that is that. Nothing else to do but to continue to on to Skyshroud. The ambulator seems to be in perfect working order despite everything almost going terribly wrong. Vener's fingers manipulate the controls and a warm heat travels through his entire body. 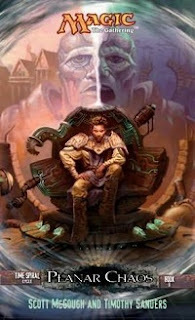 Jodah appears in Skyshroud for only mere moments before Freyalise finds him. The planeswalker lifts him into the air and smashes into a pair of trees, just throwing him into one after another in a way that will rough him up but not kill him. The signal beacon that Venser gave him is destroyed as part of the collateral damage. Jhoira intercedes and asks Freyalise to stop. She's already agreed to help her, killing Jodha will neither aid her mission in reaching Radha nor will it aid in saving Skyshroud. Eventually, Jhoira gets through to her and Freyalise gives Jodah two options. He will be of use to her or die. Jodah tries to bribe her with the very mirror they used to cast the World Spell that ended the first Ice Age, but her power is too diminshed for it to be of anymore use. It's no longer an option. Jhoira interrupts one more time on his behalf and convinces Freyalise to allow Jodah to accompany her when seeking her chosen successor in Radha. Then neither of them will never return to Skyshroud. The conversation ends when Venser and his ambulator appear. Freyalise demands to know who his guest is and why he was brought here, then Weaver King reveals himself and laughs in her face. Her attacks fail to harm his immaterial body and the glee in his voice is terrifying as he notices the abundance and variety slivers within the forest. New toys for him to play with. He flees and the slivers go with him. "That was the Weaver King," Jodah said, eager to cut in before Freyalise began brutalizing Venser. "A mind raider and puppet maker. He escaped from the Stronghold in Urborg a short time ago. Now it seems he has followed Venser here." Freyalise rose up, her feet several feet off the ground. 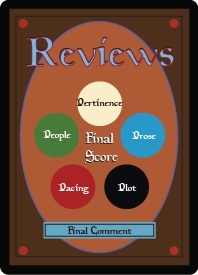 She rotated slowly, casting her dire eyes on the other three. "Urborg's problem is now Skyshroud's," she said. 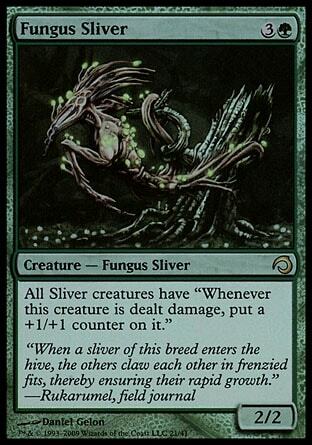 "And if this petty king has taken control of my slivers, there may be no hope for my children at all." Oh. 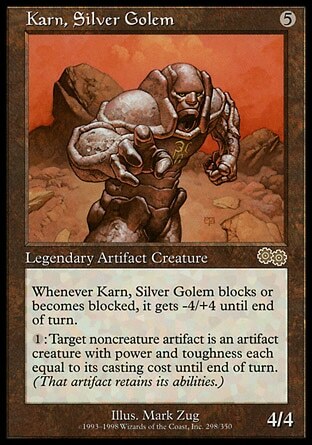 It makes sense that Karn is going to be the one the help Venser fully realize his planeswalker nature. That's already what he does with Jeska, and they have a common interest in artifacts which should make things a bit easier. The botched rescue attempt pretty much went as expected. It never really made sense as how the Jodah and Venser thought they could actually sneak Jhoira away from Freyalise, and while it's odd that they thought they could get away with it, I'm glad that they didn't. She's a planeswalker. And when you add the fact that there was no threat to Jhoira on Freyalise's behalf thanks to her mission to seek out Radha, the need for a rescue made even less sense and so it was hard to really root for the plan to succeed. 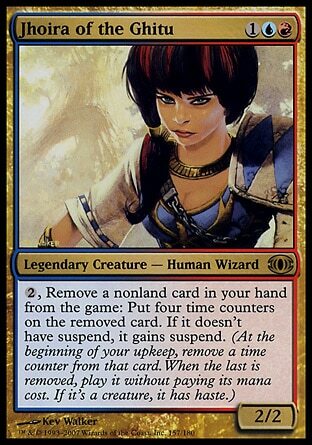 Why didn't Jhoira just tell Jodah that she already agreed to help the planeswalker the first time they met? But now that's all over and done with, it seems like the whole idea was to get the Weaver King to Skyshroud so he can wreak some havoc.